Google’s highly anticipated Android Wear smartwatches will be shown off at Google I/O in June but you see a sneak preview today. Google employees have shared screenshots of some of their favorite notifications from the smartwatch operating system. From the few screenshots, we can see each notification is represented as a card that can be swiped from left to right. There are tiny dots at the bottom that show how many notifications you can swipe through. We also see third-party devices working with Android Wear. Nest, the internet connected thermostat now owned by Google, displays a notification about smoke at the office. 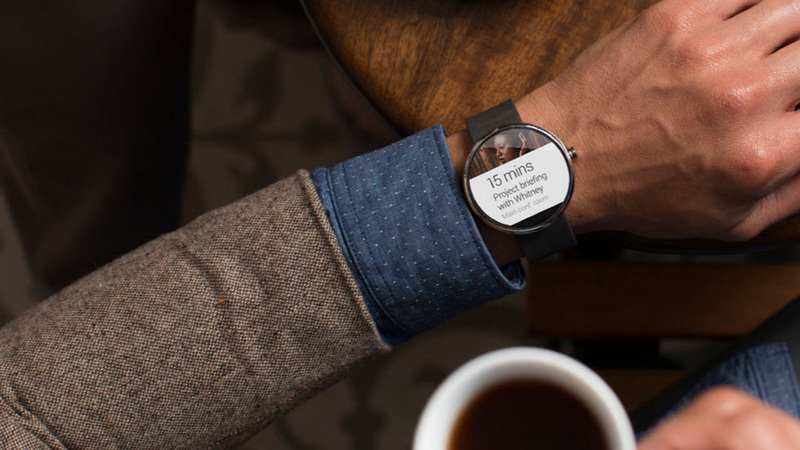 Apps can also work with Android Wear if a developer incorporates the functionality. We can see a Google Calendar notification as well as a notification from the popular game, Clash of Clans. Music controls are big, taking up the whole screen. Album art displays in the background with artist and title scrolling across the bottom. It looks a bit inelegant as its redundant to have music controls on separate screens. Google should allow swipe gestures to control playback instead of relying on virtual buttons. These screenshots are early prototypes of notifications and are only for square watch faces. Android Wear will also support circular watch faces. We will see more about Android Wear during Google’s developer conference on June 25th.